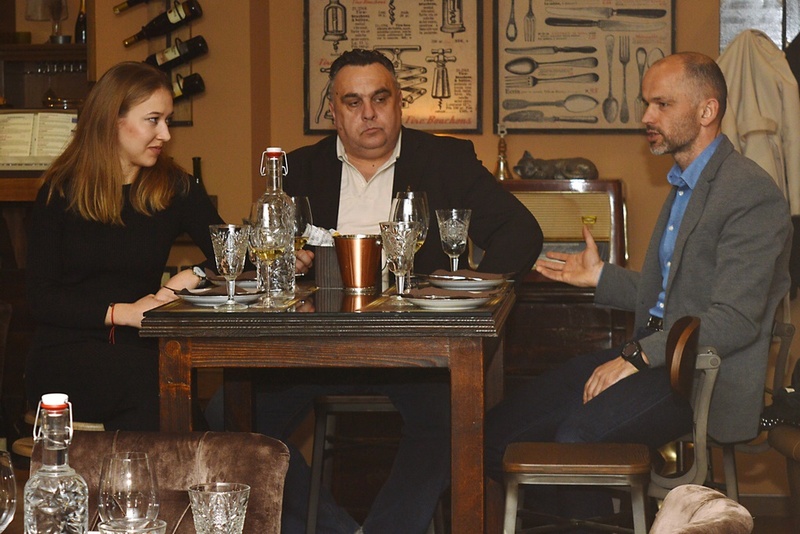 Wine talk show Tomislav Stiplošeka i GET Culture Association this time - in addition to conversations with the recently leading enologist, and now the director of wine production and production of one of the largest domestic wineries Milanom Budinskim i Miom Vukdragovi, marketing manager - present honored with a premium tasting of several labels for our gigantic winery Lagoon of wine from Poreč. Indigenous, but also international varieties, such as Istrian Malvasia, Teran, Chardonnay, cabernet sauvignon, a yellow man i masculine rose te white i gray stack, have found their home in sunny Istan suns more than 2.400 hours per year spread over more than 600 hectares of land. The Laguna wines from these positions (Devići, Starići, Funtana) are characterized by moderate acidity and salinity (the land is rich among other magnesium and calcium), so Agrolagunina wines are remembered by their specific characteristics that can be found in all base line wines select all the way to the feather named Festigia i Festigia Riserva which continually wins the prestigious awards at world competitions. 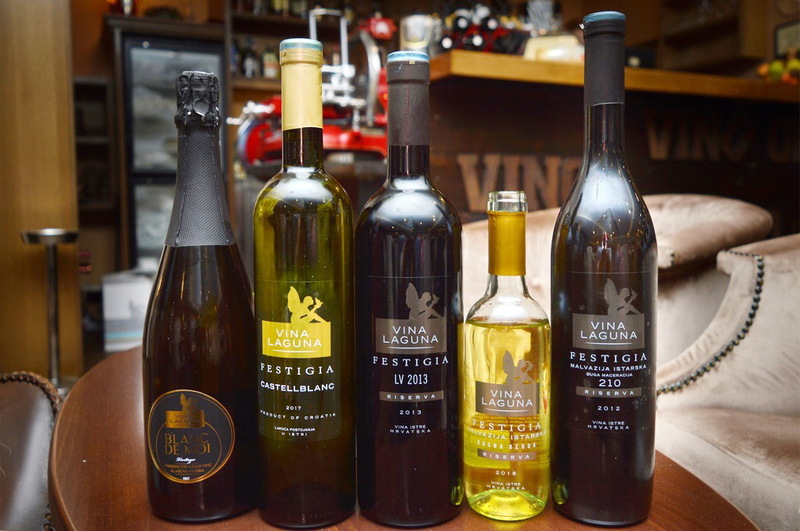 This year began with gold on MUNDUS WIN Spring Tasting for Festigia Malvazija Istrian Vižinada Riserva from 2016. 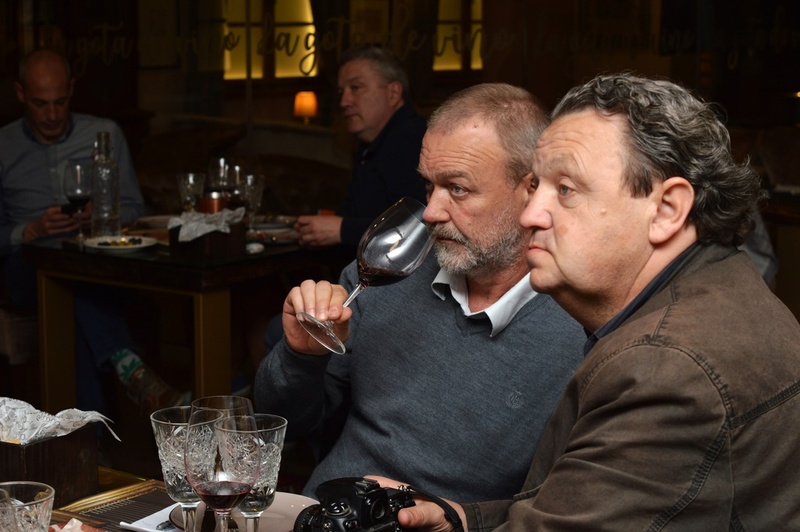 Now imagine when you are an oenologist plays and with such wines prepare special, small series of more intriguing top quality wines of carefully picked berries and inventive vinification processes. 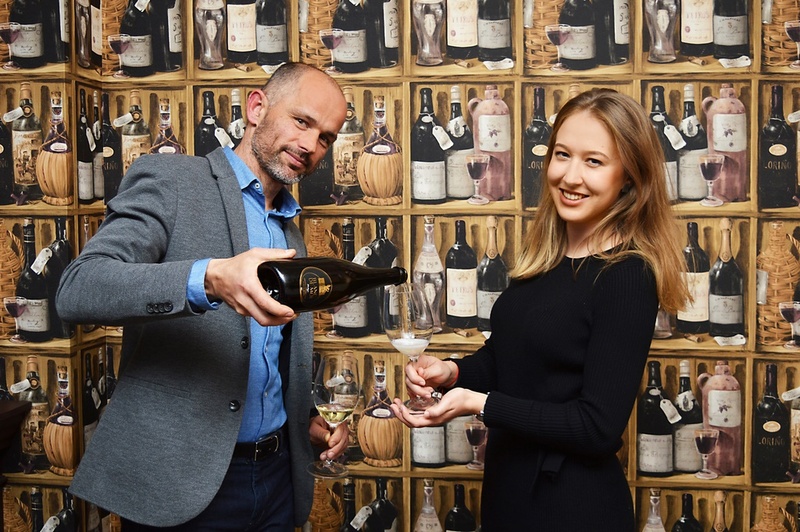 Some of the presented wines are just entering the market, and some will be studying for a while, but they already have a tremendous potential. 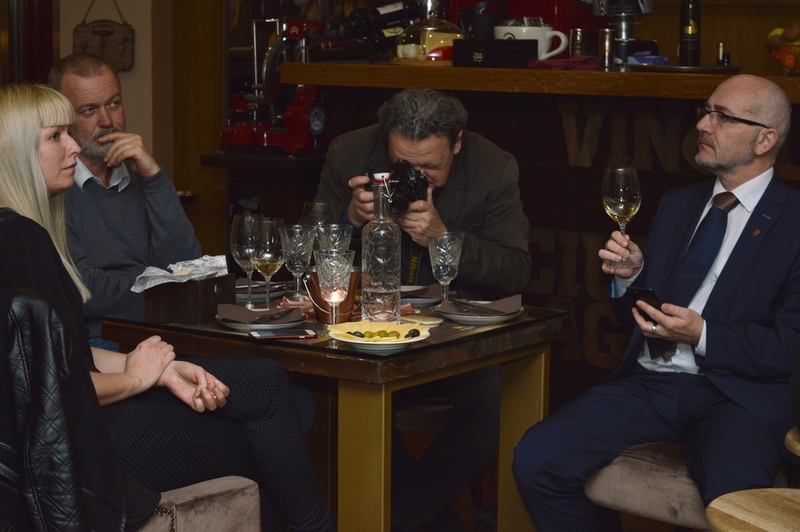 The wine that most of me fell down with my leg was Malvazija Istarska 210, vintage 2012. year characterized by reduced yield due to lack of precipitation and high temperatures, and manual vintage of fully mature clusters started at the end of August. The vinification was carried out as if it were black grapes in stainless steel where the berries were left spontaneously fermented at natural temperature after sowing and run. After the completion of alcoholic and malolactic fermentation, the vinification was supplemented with young malvasia and started 210 days of long maceration (so the name of the wine) during which the berries with the skin dropped to the bottom and the wine was poured without pressing! Over the next eight months, the wine poured into the soil of its own yeasts in thousands of barrels of the action, and then 8 months left in stainless steel until it was completely natural stabilized, after which it was filled in only the 1.150 bottle with a plunger stopper with a minimum of 6 months remaining. All the time the wine developed without addition of sulphite, and only a small amount was added to the filling to allow for a long lasting dispersion and continued development in the bottle. But the evening did not begin dvjestodesetkom, but how and why - sparkling wine. Blanc de Moi brut 2015 makes 60% malvasia and 40% white pinot and it is the first champagne from Laguna produced by a classic method (having two produced by the Charmat method) with 10-by monthly second fermentation in the bottle. The conversation concluded that it would be good to leave it still on the lees in the bottle, which is for one part of the series and done so it should be checked how it develops when it appears on the shelves of the wine shop. One more malvazija was delighted with the wineskin palate and backed me to the belief that other winemakers would like to make a different malvasion and take the risk that they may not like everyone, especially those who are accustomed to the same, now a bit tedious stylistic expression of the most important Istrian variety. Malvazija Istrian late harvest 2016 desert, a sweet wine made from extremely high-grade grapes and high-sugar sugars of varying degrees of calamity, left to sliced ​​on cutlets for fiveteen days. The rare occurrence of noble molds in malvasia afforded Budin's unique opportunity to play with botritiziranim, incredibly sweet berries (the sugar level in the moon has grown to even 300 g / L) in the production of a true wineglass, a perfect partner with cheeses sirane Špin which also produces Agrolaguna. The classic aromas of vineyards and citrus fruit are highlighted by a six-month grafting on leaven in new barrels of French oak, which added notes of vanilla, cloves and candy. Laguna has a very good black cup Festigia Castello (merlot, syrah), and now we know that the answer in white is excellent: CastellBlanc 2017. The mixture is varieties (chardonnay, viognier, malvasia and white pinot) which are separately intercellularly fermented (carbonic macera- tion) in the odor except the broth which has been fermented in new barrique barrels of French oak. The varieties were then joined together and set for eight months on their own leaven, each of which gave CastellBlanc something: white pinot with freshness and texture, chardonnay nuts and fruit aromatics, floral-citruses, and viognier floral-fruity aromas from the barrique the wine took on the aromas of caramel and spices. The cremation thanks to the lawn care, which is why freshness is persistent and CastellBlanc has the potential to enjoy a few more years with meals and appetizers of white fish, seafood or white meat. Dry red Reserve 2013 LV of 80% merlot, and equal shares of malvasia and terana remained in the second plan, not because it was the least good, but because the palate was tired ... Already deep, dark ruby ​​color gave the impression of very strong wine, solid tannins and pronounced fruit tannins , mostly dark cherry, plum and cherry. Its complexity is given to the spicy flavors of coffee, cocoa, and due to leavening on the cut off, we got balmy notes like incense and exotic mirodi. 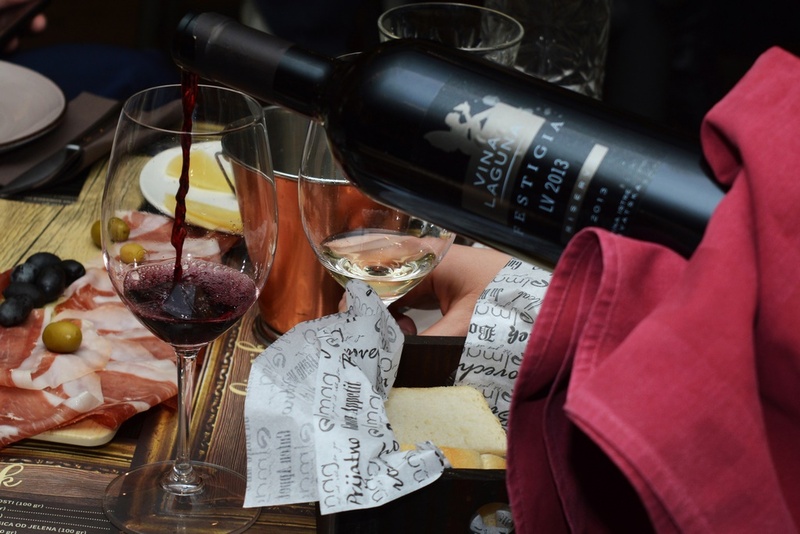 Like all the presented wines and the Riserva chefs, there is plenty of room to taste with flavors and numerous combinations of pastry: with a pronounced merlot in this pie, red meat and game dishes, meat baking, steaks, spicy cured meats and mature cheeses. You will not find the master wine tastings of the great Laguna wine in the shops, but only in the winery and in the chosen restaurants and wine shops where they will watch and pamper them as they deserve, and how the series is really small - it's worth looking for and try while still there!